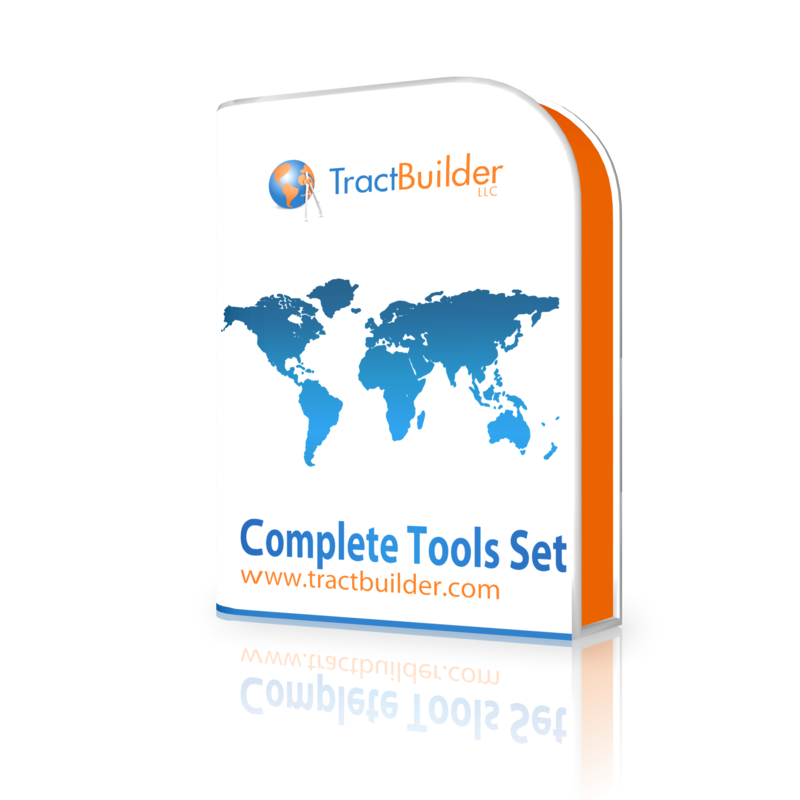 This package includes the TractBuilder Metes & Bounds Tool, Quartering Tool, Auto-Quartering Tool, Well Spotting Tool, and GridMaker. The Metes & Bounds Tool simplifies the process of drafting mapping features based on metes & bounds legal descriptions. If you have ever mapped this type of legal description then you will appreciate the amount of time that the TractBuilder tools will save you. There are multiple ways of taking a written legal description and importing it into a mapping system. The method you use will depend on your skill level and the complexity of the legal description. In some cases, you will be able to copy and paste the legal description into the tool and identify the starting point and you will be done. In others cases, particularly very simple tracts, you will enter the short hand for the few calls and be done. The Quartering Tool enables you to create GIS features based on Public Land Survey System (PLSS) aliquots. Instead of using an imaginary land grid that does not match real world conditions, the TractBuilder Quartering Tool builds the resulting feature from nearly any section basemap, including those available with the TractBuilder Live online data service. Since the Quartering Tool can use your existing data, you are unlikely to have any misalignment issues due to conflicting data sources. The Auto-Quartering Tool allows you to create polygons from legal descriptions in a spreadsheet in PLSS areas. Using a spreadsheet which contains location information (meridian, township, range, and section) and an aliquot legal description the Auto-Quartering Tool will create polygons with attributes (from all fields in the spreadsheet). With dozens of features being created per minute, work that used to take more than a week can be done in less than a day, easily converting all types of calls into polygon features with attributes. 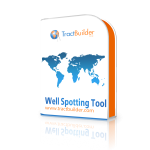 The Well Spotting Tool allows you to create points and lines from footage calls in a spreadsheet in PLSS areas. Using a spreadsheet which contains location information (meridian, township, range, and section) and footage calls from section lines the Well Spotting Tool will create points and lines with attributes (from all fields in the spreadsheet). Not only can a user create a single set of well spots from a spread sheet, but also secondary points, and connecting lines. The GridMaker allows users to easily divide an entire feature class (such as a PLSS sections shapefile) into various subdivisions; specifically, into Quarters, Quarter-Quarters, Quarter-Quarter-Quarters, North/South Halves, and East/West Halves. This item includes one year of support and updates. This item is compatible with ArcMap 9.3 and higher; the GridMaker Tool is only compabile with ArcMap 10 and higher. The required Annual Maintenance Fee for this item is $1,480.00. Government & Non-profit users please contact us for pricing.